Figurational theory is used to analyze fan behavior in European football, or what North Americans refer to as soccer. The sociology of science body of theories hold in common the contention that what is considered scientific “fact,” as well as what is considered worthy of scientific study in the first place, are reflections of the social environment. Consistent with traditional gender ideals, the hegemonically masculine male is independent, powerful, emotionally unexpressive, strictly heterosexual, unflinching in the face of adversity, indifferent to pain, and unwilling to compromise his core values. Reversal theory points specifically to how individuals focus on tasks at hand and how they remain flexible enough to make needed changes, overcoming any fear of change. 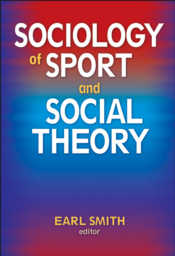 Sociology of Sport and Social Theory presents current research perspectives from major sport scholars and leading sociologists regarding issues germane to the sociology of sport while addressing traditional and contemporary sociological theories.